Commonly called bichwa , but also bicchwa or bichhwa literally means "scorpion". 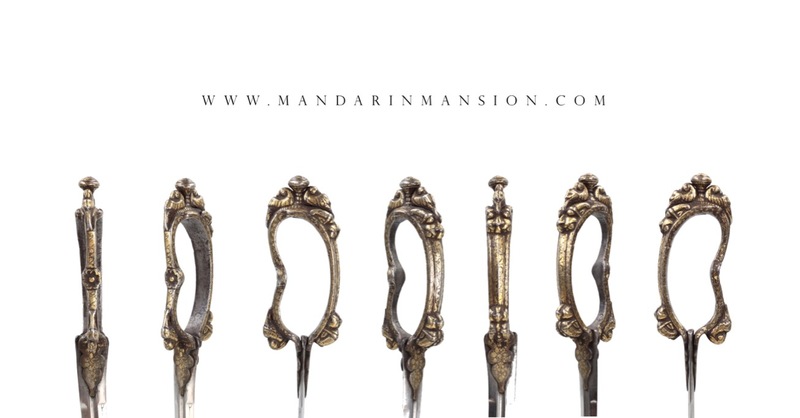 The name probably refers to the shape of the blade that resembles the sting of a scorpion. 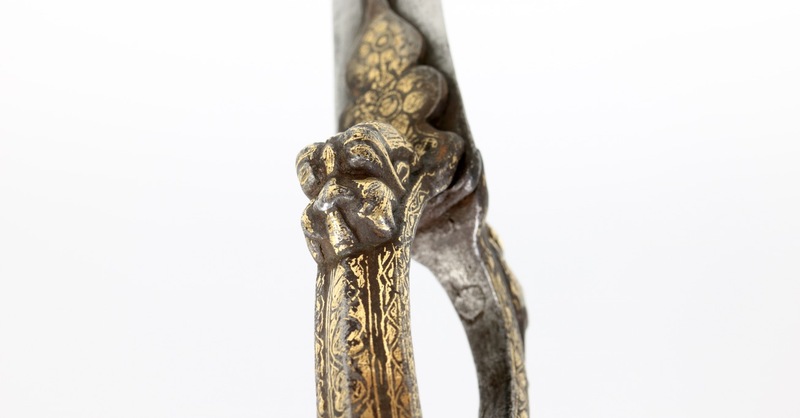 The bichwa consists of a loop handle that fits around the palm of the hand, enabling the wielder to use the hand without the dropping the dagger, for example when engaging in wrestling. A rare and beautiful bichwa dagger with chiseled iron hilt. 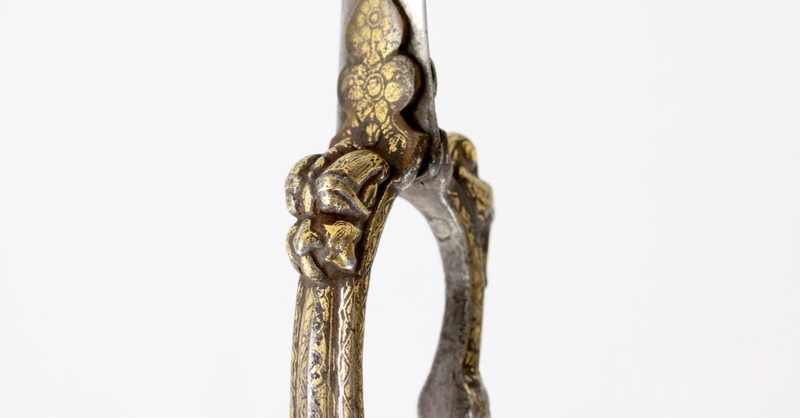 The handle chiseled with two parakeets and a lion's face on the top and a parakeet and a lion at the shoulders of the handle where it meets the blade. 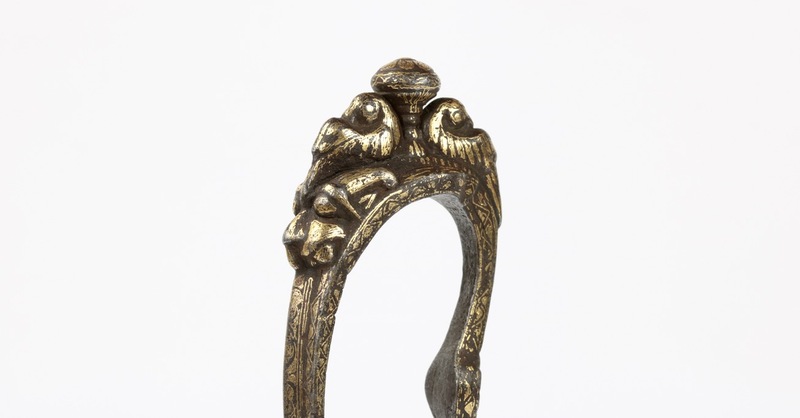 The langets that hold the blade have the profile of the stylized palmate motifs found on the langets of many arms attributed to the Tanjore armory. 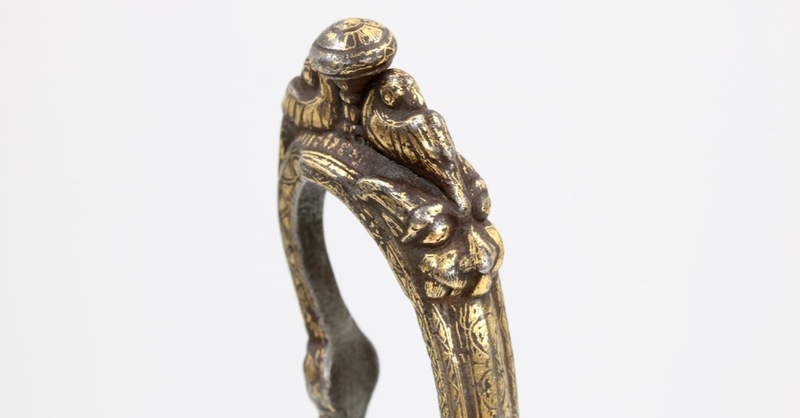 There is a flower on the inside of the handle that fits right in the center of the palm of the hand when worn, but there is a caveat, see under the header "comparable examples". 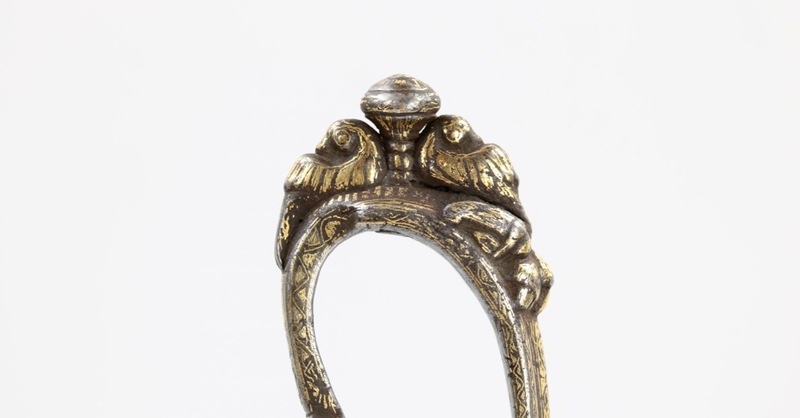 The handle was probably originally plain, but it was covered in gold damascening ( koftgari somewhat later during its working life. 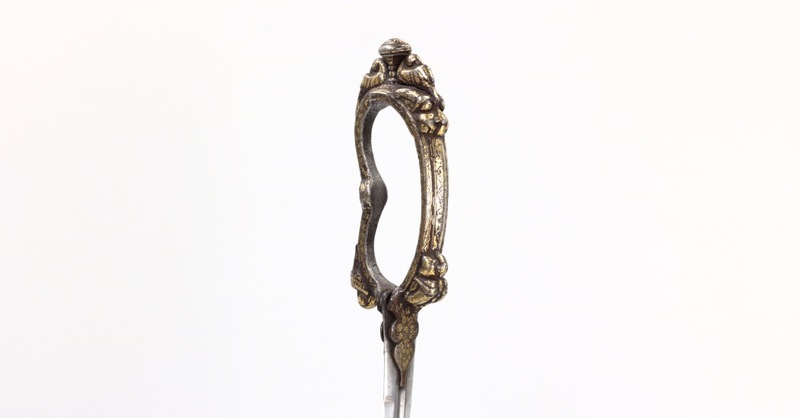 I believe the dagger probably dates from the 18th century, with the gold possibly added in the late 18th to 19th century. 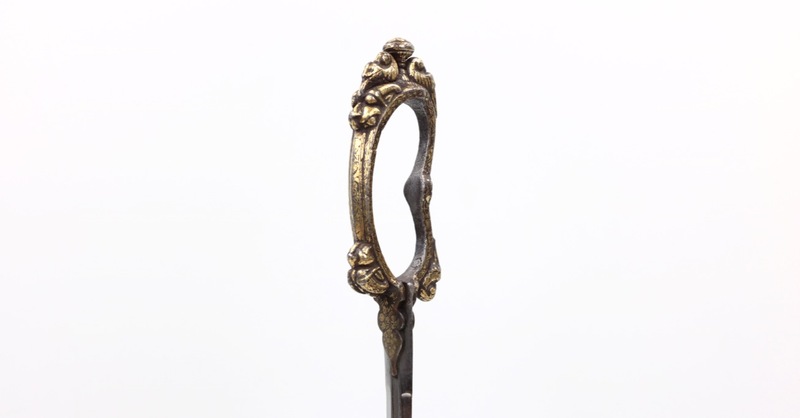 It has a slender but thick blade with deep groove on either side that lead to an armor piercing thickening at the tip. Each groove is flanked by two very narrow grooves. The blade shows signs of a forge folded construction. 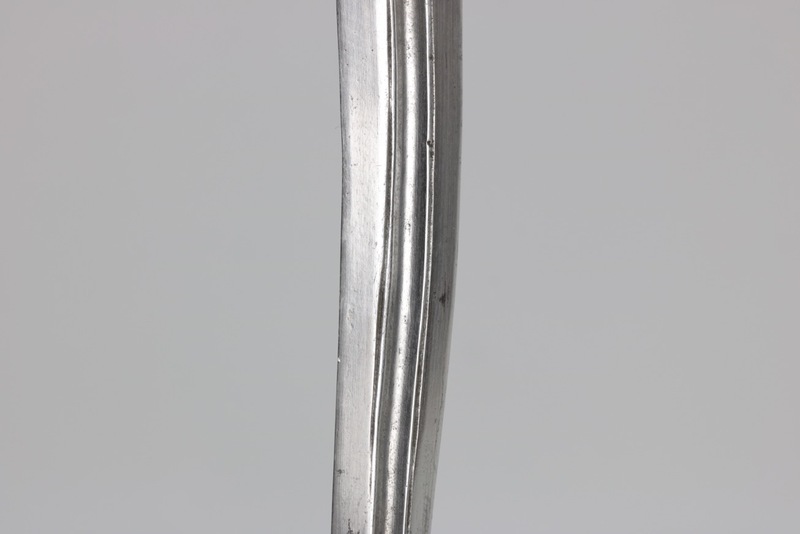 The alignment of the blade on this bichwa suggests it was made for left handed use, as a secondary weapon. 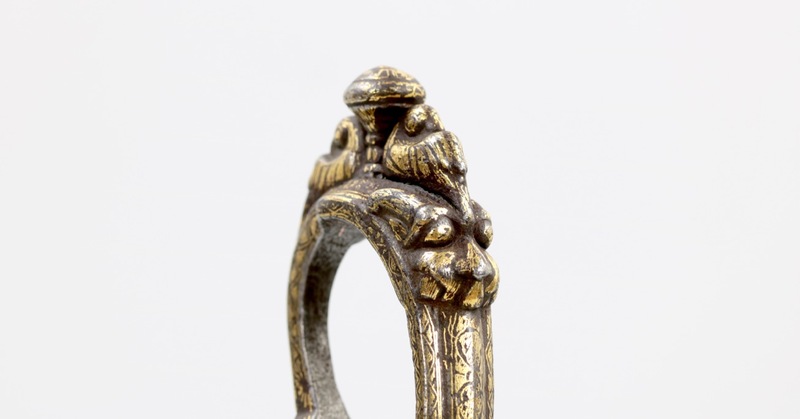 Often referred to as parrots, the birds depicted in Indian art are often actually parakeets. Like parrots, they can learn how to mimic human speech and were found being able to memorize the chants uttered by worshippers in temples. They are the vehicles (" vahana ") of the Hindu gods Kamadeva and his consort Rati, who represent love and desire. 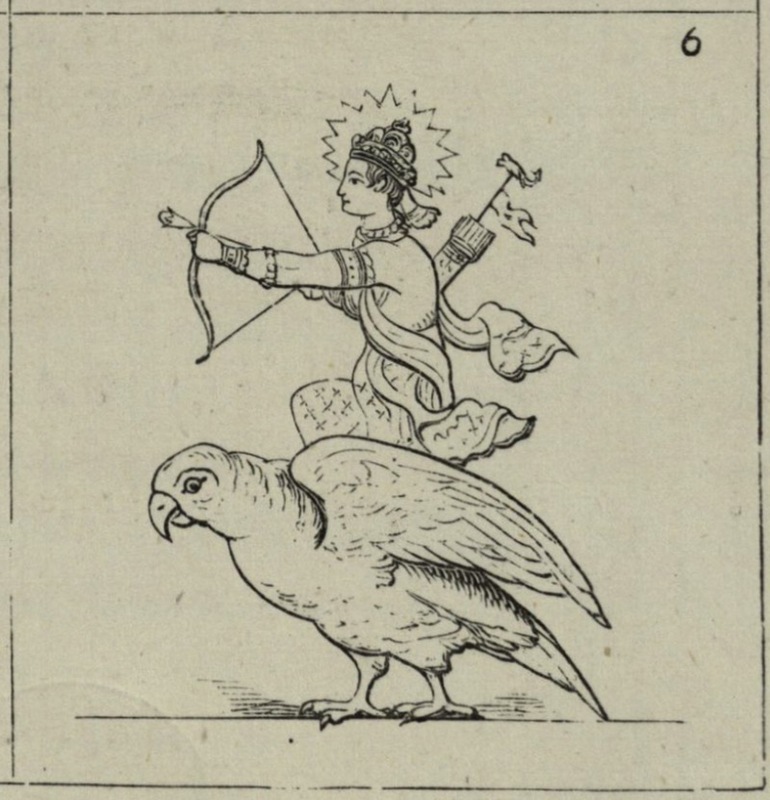 The parakeets, in pairs or single, that frequently feature on south Indian arms are perhaps a reference to the linkage between love and war that are frequent themes in Tamil poetry: Risking one's life for that which one loves.1 Goddess Meenakshi (consort of Shiva) is also often depicted holding a parakeet, and the parakeet is associated with the goddess Andal, a Tamil poet and saint devoted to Vishnu. In earlier times the lion was a sacret animal among Hindus because it was believed to be an incarnation of Vishnu. Illustration from Birdwood, Industrial arts of India vol 1, London, 1880. 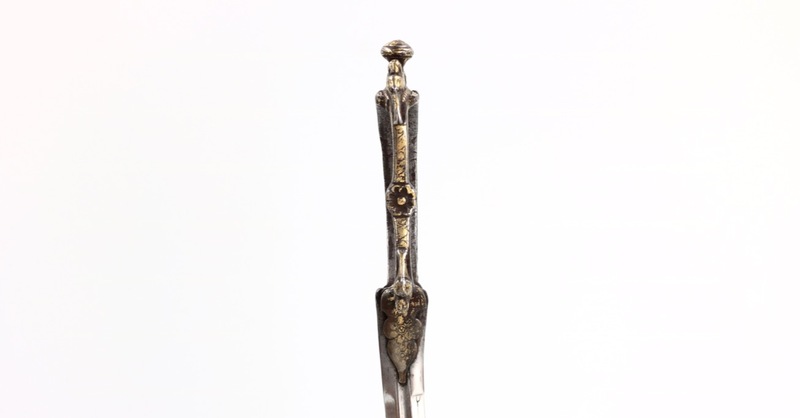 Bichwa daggers with chiseled iron handles are -per my current knowledge- extremely rare. This is the only example of its type that I've seen so far. If a reader can point me to any comparable example, please do! 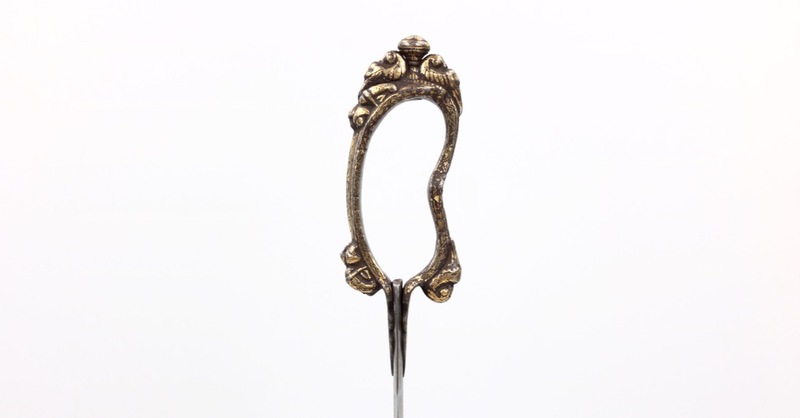 There is one example in the Metropolitan Museum that is of superior workmanship, but of a completely different style: 2014.190. 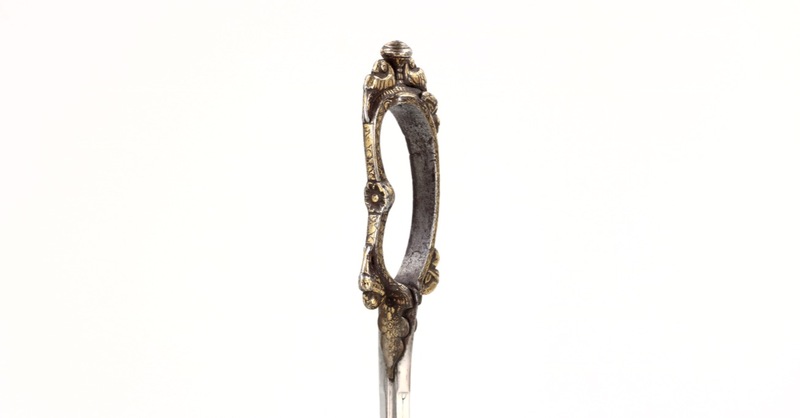 Interestingly the shape of the inside of the handle, fitting each finger individually, suggests this dagger was used with the first curve of the blade turning towards the user. 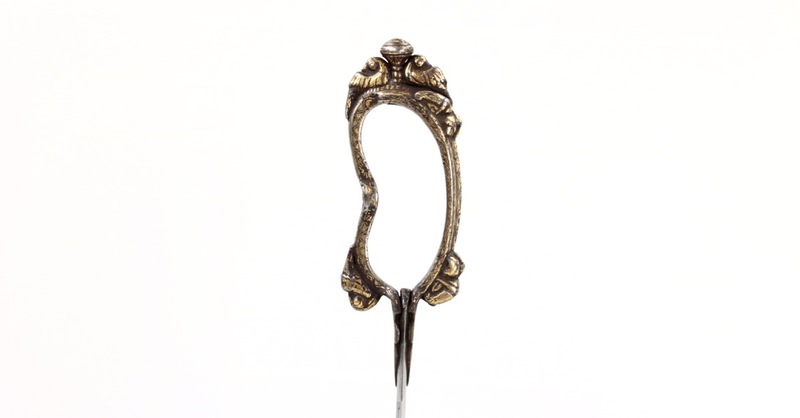 This is the opposite of how blades on daggers like the chilanum are usually aligned. It leads one to wonder, whether it's the odd one out, or that bichwa were used fundamentally different from chilanum . 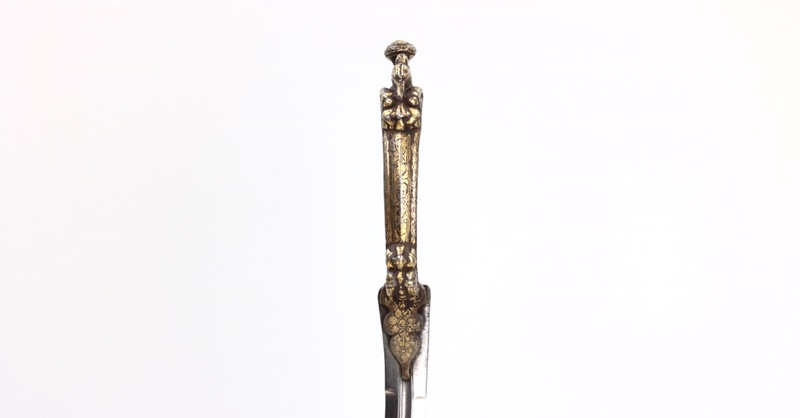 A very rare bichwa dagger with chiseled iron handle, carved with parakeets and lions, damascened in gold. This is the only example of it's type that is known to me at this point. 1. Robert Elgood; Hindu arms and Ritual , Eburon Academic Publishers, Delft, 2004. Page 152.